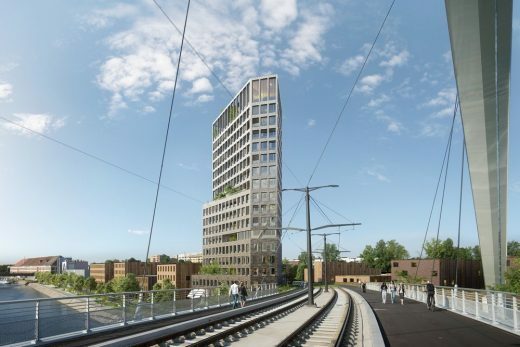 KCAP Architects&Planners, in collaboration with OSLO architectes, has won the first prize in the architectural design competition for a residential tower in Strasbourg, France. This was announced by the mayor of Strasbourg, Mr. Roland Ries. 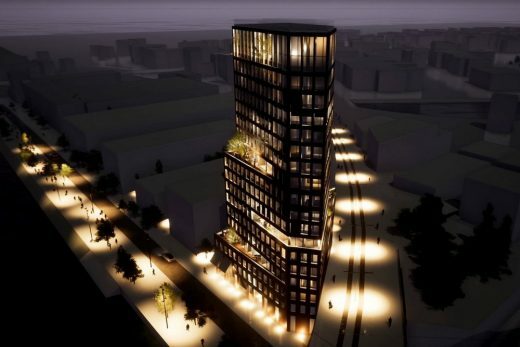 The tower will be the first and most symbolic building of the new neighborhood ‘Strasbourg, Presqu’ile–citadelle’. 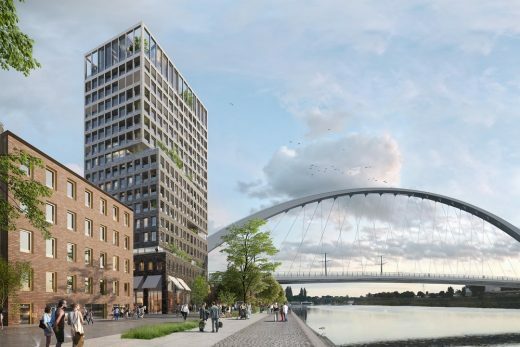 With its 57 meters of height, the tower will become a landmark for the area located between the city center of Strasbourg and the river Rhine. It will be developed by SAS-3B. KCAP Architects&Planners is an internationally operating design firm specialised in architecture and urbanism. KCAP holds offices in Rotterdam (NL), Zurich (CH) and Shanghai (CN) and works with a staff of 110 professionals. KCAP is led by four partners: Kees Christiaanse, Ruurd Gietema, Irma van Oort and Ute Schneider. Since its founding in 1989 by Kees Christiaanse, KCAP has grown to be one of the leading offices for architecture and urban planning in Europe and Asia. 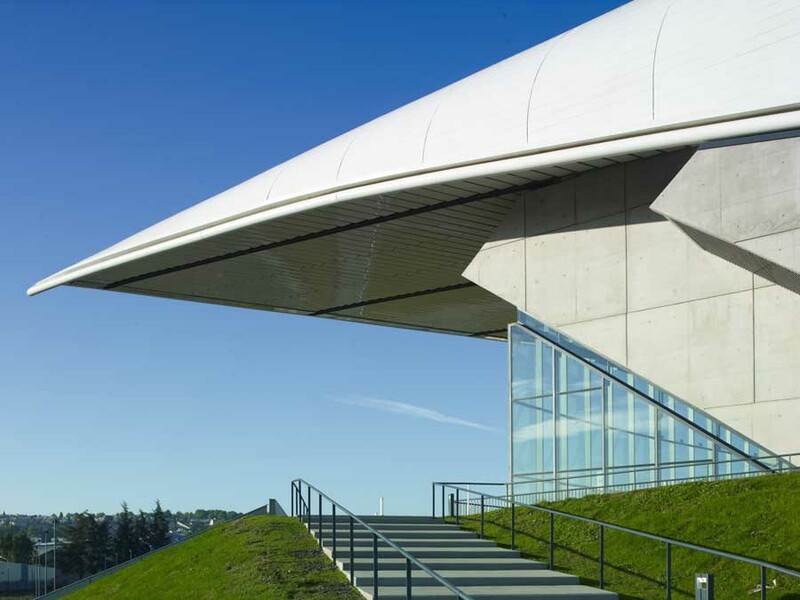 OSLO architectes is a design firm specialised in architecture. 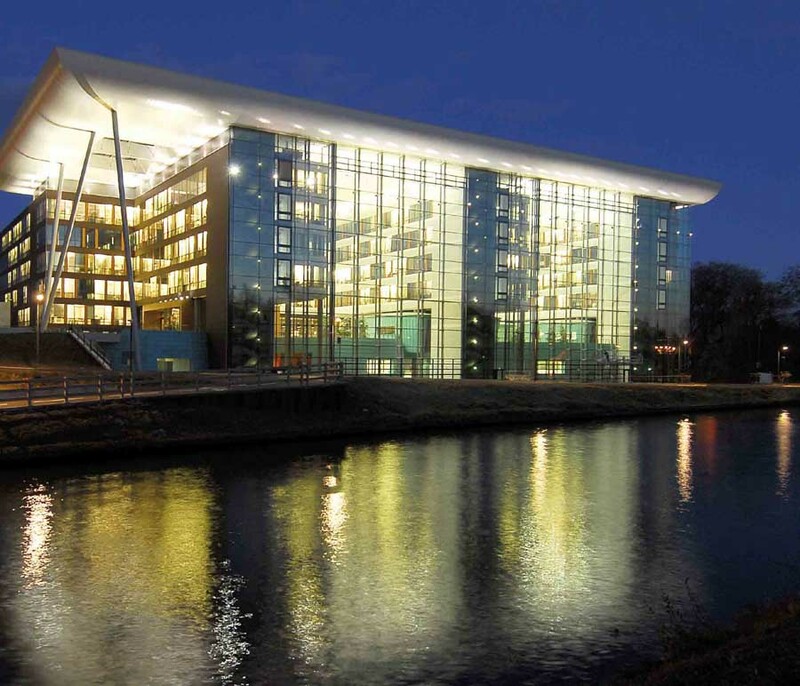 OSLO architectes is based in Strasbourg (FR), and works with a staff of 33 professionals, architects and engineers. OSLO architectes is led by three partners: Laurent Fleury, Josselin Lutz and Nicolas Parent. Founded in 2011, OSLO architects grew fast with an extensive portfolio in architecture and construction in the north-east of France. SAS-3B was founded in 2000 by Georges Bousleiman. SAS-3B is an urban land developer and independent property development company. 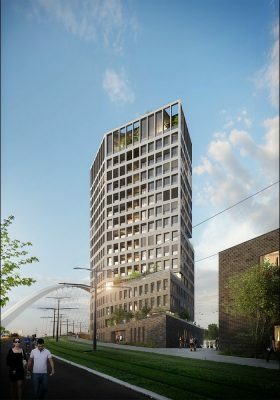 A committed operator of the sustainable city, SAS-3B is a reference developer in the North-East of France with more than 1,200 homes already delivered. SAS-3B is distinguished by operations of high architectural and societal quality.